Richard Irwin (Belper, United Kingdom) on 8 April 2008 in Plant & Nature. These are common along the River Trent, and give good cover to wildlife. As children, we called these "punks" (have no idea why), and we searched for them in swampy areas. This is a wonderful shot with nice light! 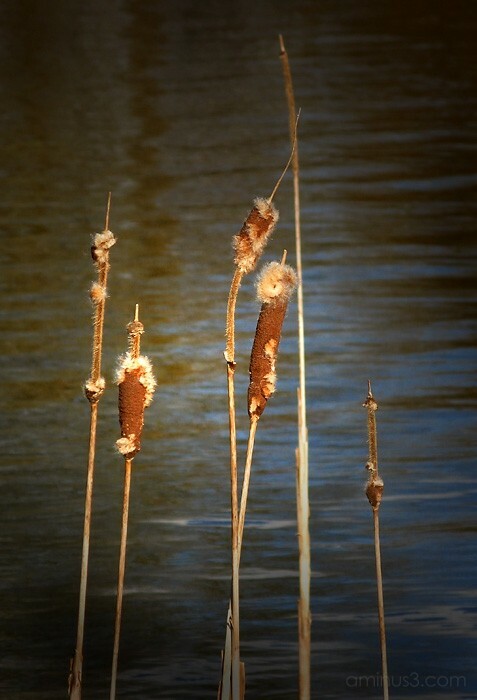 The lighting is wonderful Richard and I like the way the bulrushes are in different stages of decline. now you just need some blackbirds! Superb afterwork with the image! It has a nice warm glow to it. great shot! i really like how you captured the light, color and detail. beautiful.